Wow. What a stunning example of ‘a little knowledge is dangerous!’ Factually, the statement is correct. As a calorie counter, I can attest to the fact you simply need to cut 3500 calories from your intake to lose a pound. So eating 500 calories less each day will cut about a pound a week from your weight. You can do that without exercising. However, don’t throw out the baby with the bathwater. All of us need to exercise. I reached my ideal weight of 150 pounds nearly several years ago nonetheless I exercise every day. Most days I ride my bike. But, if I don’t ride, I walk and/or go to the health club and work out. Let me remind you that the reason you need to lose weight in the first place is because you are carrying too many pounds. You don’t need to lose weight to look better. You need to lose weight to feel better and be better – and live longer. Don’t get caught up in simple vanity as a motivation for cutting off pounds. Check out my page on The dangers of a big waistline for some cold facts about that big belly. 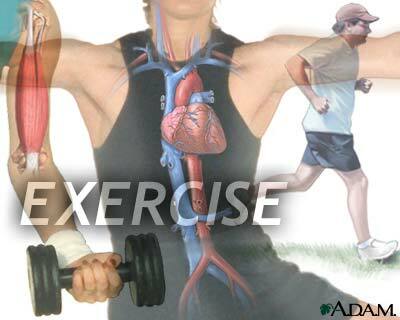 In conclusion exercise is optional for losing weight, but exercise is not optional for living a long and healthy life. Be smart. Eat less; move more; live longer. This is an awesome quote!!!!….. ‘You don’t need to lose weight to look better. You need to lose weight to feel better and be better – and live longer’.